Summer is quickly approaching and with it, decision time. High school and college students are lining up their summer plans. Rather than embracing the luxury of basking in the sun for 2-3 months, students should seriously consider an internship or apprenticeship to prepare them for a successful post-graduation launch. 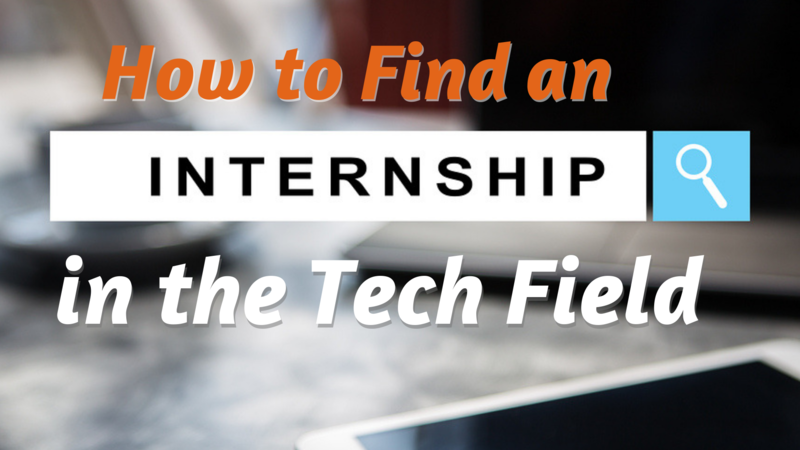 Below are some tips for students on locating and landing an internship or apprenticeship. The competition for these opportunities can be intense, so don’t wait. Go get it! With so many options, it’s crucial that you narrow them down and get focused. What is your ideal internship role? What is your ideal organization? Are you interested in project management? Software development? Cyber security? Web design? Would you like to work for a pure technology company or in the IT department of a traditional organization? Research the organizations in your area to find one that catches your interest. If you can’t find your ideal fit, that’s OK. You can take on a job that’s close to what you’re hoping for. Your primary mission is to just start. Landing an internship that you can proudly display on your resume and online profiles will be extremely valuable. An apprenticeship is slightly different from an internship. These are paid positions that combine education with on-the-job experience. They’re growing in popularity and can provide a valuable doorway to start your career. Learn more about youth apprenticeships here, and becoming an apprentice in South Carolina here. Before applying to your internships, create or update your LinkedIn and Tallo accounts. Both of these professional social media sites enable you build a profile that shows employers that you’re ready for the workforce. They also enable you to connect with hiring organizations. Invest energy into your profiles by including your school and extra-curricular accomplishments. Learn how to maximize your Tallo profile here. Build your ultimate student LinkedIn profile with this guide. While you’re working on your social presence, check over your other accounts and remove content that could come back to bite you. Before hiring you, employers will likely review your accounts for undesirable and/or offensive content. They have to protect themselves from making a bad hire. Talk to everyone you’re close to – to learn if you have a mutual connection with someone at your chosen company (family, friends, classmates, etc.). Ask your school guidance counselor about internship or apprenticeship opportunities. Attend career fairs at your school and in your community. Search LinkedIn – you can pull up a list of employees and send an InMail to the head HR person. Follow the company on social media. Subscribe to the company’s e-newsletter if they have one. When you find a connection, send them a short email (4-6 sentences) describing your mutual connection, your interest in their company and why you would be a good fit for the internship. Ask for the best person at the company to contact about the internship. Send that person your short email and include the name of the person that just referred you. Or, go ahead and apply for the internship first. Then, let your personal connection at the company know that you’ve applied and ask for their advice on who else you should speak with at the company to get noticed. The order is not important. Your 2-part strategy should include a personal contact and the company’s online application. You’ll learn about internship opportunities from the personal connections you’re making, but you’ll find more already posted online. As you research the companies you’re interested in, check to see what internship opportunities they’ve posted. Other websites that list internships like LinkedIn, Tallo, Glassdoor, etc. When interviewing for the internship, dress appropriately, use great manners and exude a positive attitude. Employers love to work with people that they like. So be yourself and go get that job! You’ll do great!